As I said in the overview section, this card can run FurMark at full speed without throttling. This is due to the strong power circuitry that equips the Classified Ultra. At idle, the total power consumption (TPC) of the testbed is 117W. 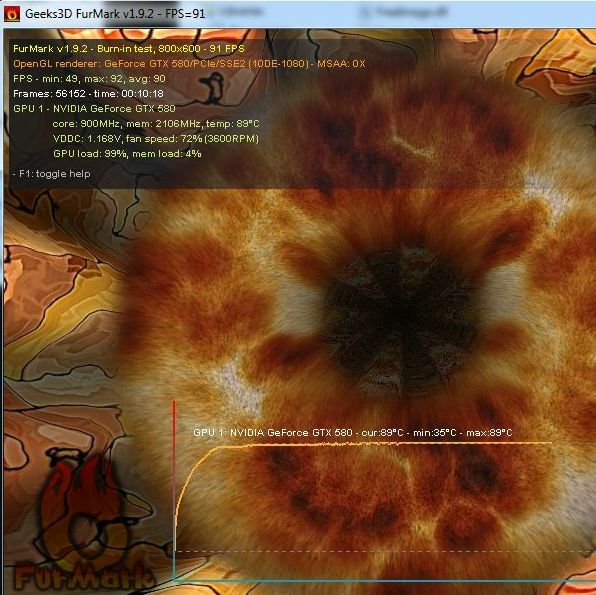 The GPU temperature does not exceed 35°C. The TPC was around 558W. I also tested OC Scanner. OC Scanner is EVGA’s GPU stress test and artifact scanner and like EVGA Precision, this graphics card utility is free for owners of EVGA cards. 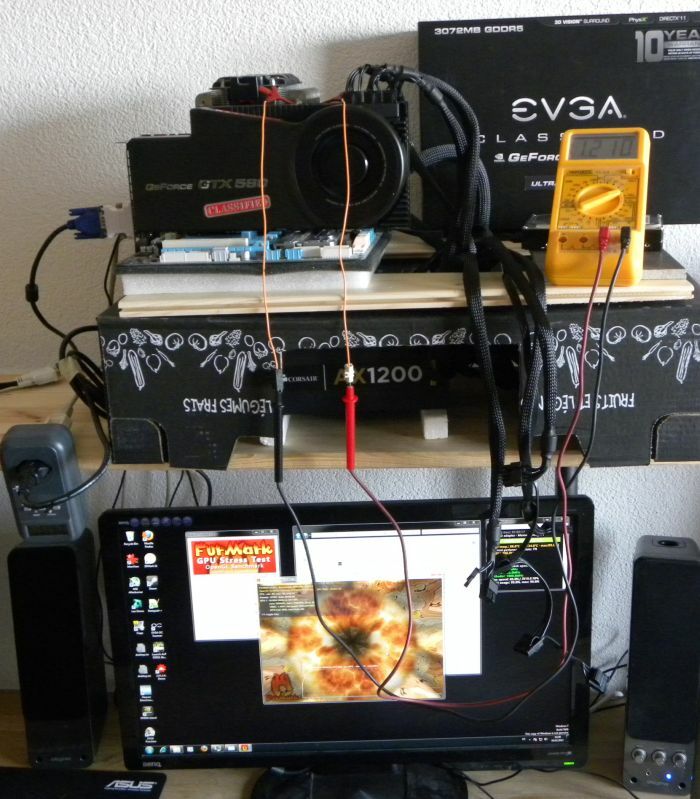 With OC Scanner (1920×1080 fullscreen), I reached a TPC of 570W while the GPU temperature was still to its max value, 89°C. 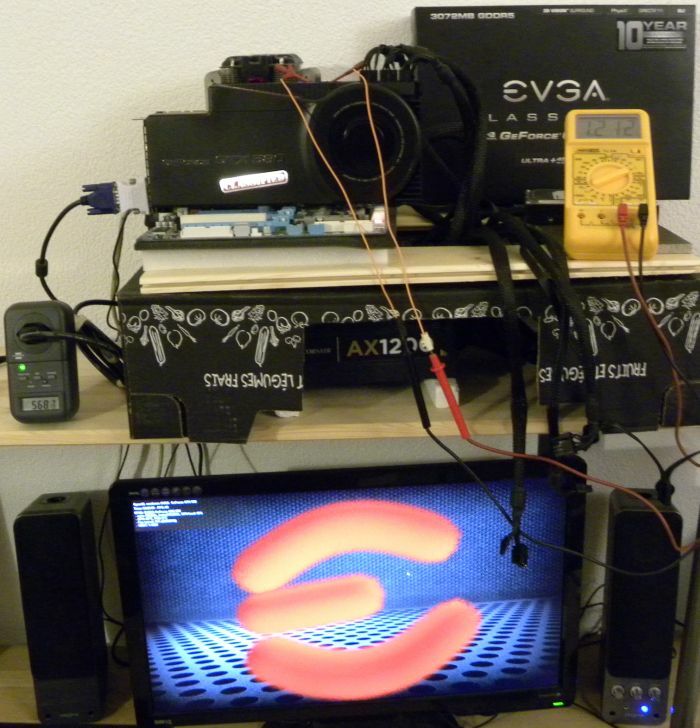 When running the stress test utilities, the power consumption of the CPU is roughly 25W. The PSU, a Corsair AX 1200, has an efficiency of around 0.9. By the way, the GPU voltage at idle is 0.960V. Under load, the GPU voltage (or VDDC) jumps to 1.210V (I got this value with the voltmeter).